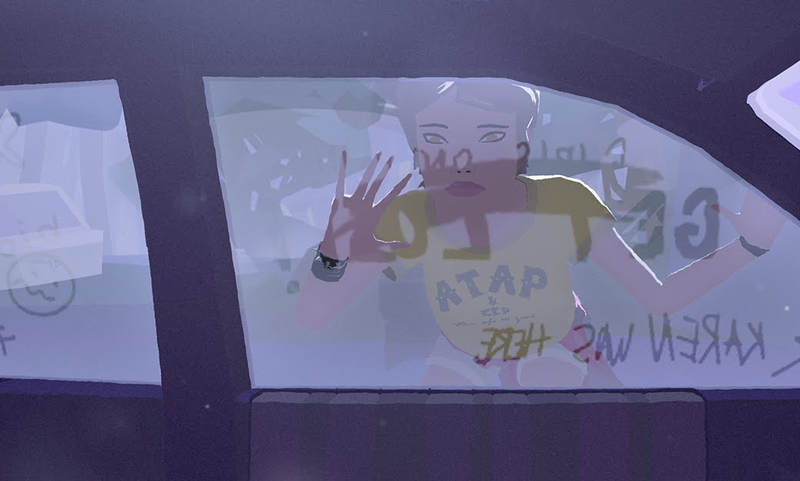 Canada goes for gold in this year’s Oscar race for Best Animated Short. Two of the five nominees are Canuck cartoons and they’re easily the most unique films of the bunch. Let’s build to the best, though, and save the homegrown talent for last. This batch of nominees includes one of the category’s most recent winners and, surprisingly, the film is the biggest disappointment of the lot. After the five-star wonder of Feast, Patrick Osborne returns with the similarly-styled Pearl (USA, 5 min.). This handsomely animated music video about a father, his daughter, and their car employs a similar conceit to the visual design of Feast but without as much success. Whereas Feast uses an Instagrammy composition that puts food at the centre of every scene as an adorable puppy finds the way to his owner’s heart through his stomach, Pearl observes the world of this family through the frame of their windshield. Created for Google’s Spotlight Stories Virtual Reality campaign, this folksy film never feels like anything but a music video/commercial mashup. Why not just nominate A Balloon for Ben? There is no gimmick, however, and only simple storytelling to drive the pair of CGI shorts among the nominees, Borrowed Time (dir. Andrew Coats and Lou Hamou-Lhadj; USA, 7 min.) and Piper (dir. Alan Barillaro; USA, 6 min.). Both films are also tales of parents and children with the former being a little bit morbid and the latter being a whole lot of cuteness. Borrowed Time is a dark—and, unfortunately, funny—western about a sheriff who can’t turn back the hands of time to reverse a terrible accident, while Piper is an affectionately sweet film about a small sandpiper whose parent nudges it to fend for itself in the wild. Borrowed Time is enjoyable economical, while Piper dazzles with its superior computer animation. (One downside to CGI is that the quality of the work is easier to compare than the vastly different aesthetics of the other nominees.) Piper, which animation fans will remember seeing with Finding Dory last summer, boasts impressive texture and lightness in the down and feathers of the birds that populate the film. The softness of the birds only adds to their charm and adorableness. 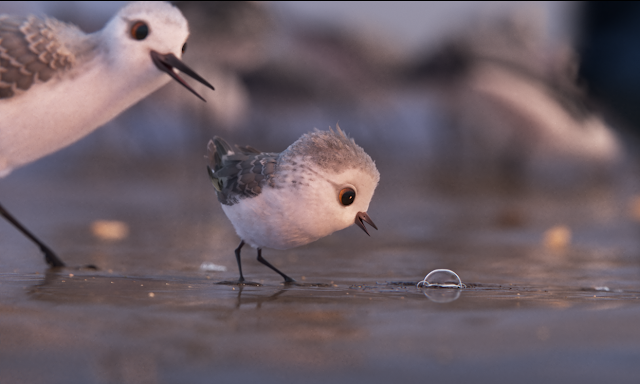 This little bird is a fine contender to bring Pixar yet another Oscar. The darkest and edgiest of the nominees is Robert Valley’s Pear Cider and Cigarettes (Canada/UK, 35 min. 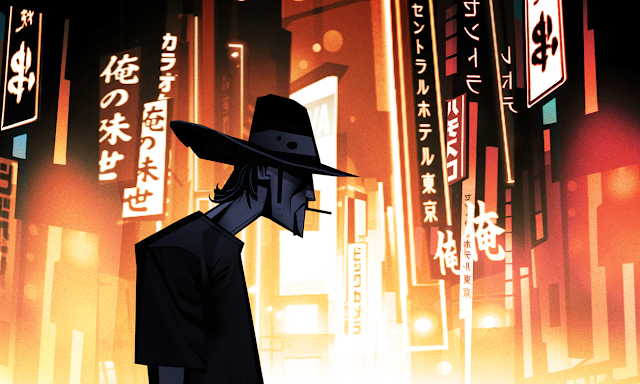 ), a stunning work of animated pulp fiction. The film offers a violent and harrowing first-person account of addiction, misfortune, and unwavering friendship. An unseen narrator recounts the life and hard times of his friend Techno, a wily cat who battles alcoholism, drug addiction, and a lucrative spree of accidents/lawsuits that fuel his demons. Rendered in sharp, graphic novel-like frames with dark brooding palettes, which notably use Photoshop as their canvas, this animated non-fiction film is a tragic testament to the power of friendship. Valley’s effort to honour his friend is evident in every frame of Pear Cider and Cigarettes—and in the impressive DIY effort to produce the film and distribute it. Mature audiences will undoubtedly put it high on their ballots. One must also be in awe of the second Canuck contender—and, admittedly, my favourite animated short heading into the race and personal vote of these five nominees. Blind Vaysha (Canada, 8 min.) is another outstanding NFB fable from master Theodore Ushev and it ranks among his best. It’s easily up among his strongest work with Lipsett Diaries, anyways, which says a lot considering his hypnotic formal plays like Gloria Victoria. This new fable is simply stunning. 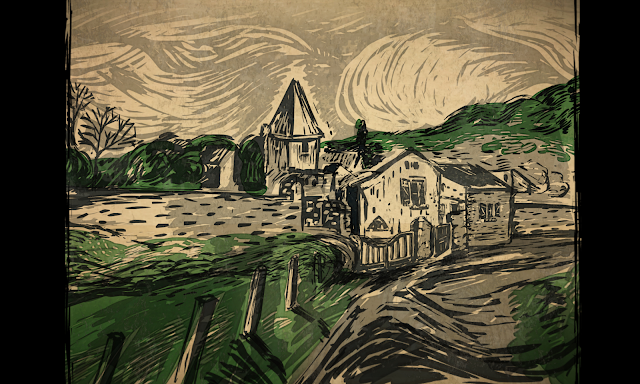 Blind Vaysha displays Ushev’s signature linocut aesthetic, which animates lines and forms in a mode akin to engraved woodwork stampings, in top form as the mirror images of the animation blend the old with the new. This timeless aesthetic complements Ushev’s adaptation of a story from Bulgarian writer Georgi Gospodinov about a young girl born with a peculiar affliction: she sees in different eras with one eye looking to the past and one to the future. She sees not the present. 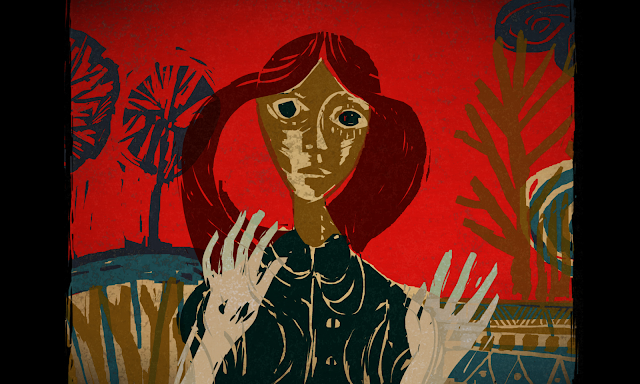 Blind Vaysha looks at the world through a storybook lens to ask the audience—and playfully so through a unique direct address—how one can live by looking forward or to the past. It’s an especially relevant question in today’s political climate and hopefully one that inspires moviegoers to look at these films with the better of two eyes. And if not, Oscar voter, woe to you. The Oscar-nominated animated shorts open in select theatres including TIFF Bell Lightbox on Feb. 10 and ByTowne Cinema on Feb. 17. Catch more on the Oscar short docs at POV and check back soon for the live action shorts!